Thompson said limited sensitivity testing means real traffic flows in 2031 could be in the range of plus or minus 50% of the reported values. Qualitative risk analysis is routine in major projects and should be undertaken, he argued. In his cross-examination for the panel, Wren tried to establish the reliability of Veitch’s predictions of traffic volumes. He asked Thompson to what extent the committee can rely on on time projections given. Thompson said it was difficult to give much reliance to any of the predictions given the lack of rigour in modelling. Those watching the hearings today commented the level of technical detail was hard-going. Thompson faced tough cross-examination from Wren, and Tweedie questioned his credentials by inferring he does not have sufficient experience in traffic modelling. It was argued that Veitch, traffic-expert for the LMA, has more project experience than Thompson. Tweedie suggested a cost benefit analysis would be of limited use because some impacts can only be quantified and not costed. Thompson disagreed and argued for transparency and a full evaluation. According to those watching today, the sparring between Tweedie and Thompson was relentless with the LMA trying to discredit the witness and trip up his evidence, before finally giving up to relief all round! Yarra Council begins its detailed argument to prove that LMA has not provided sufficient information for the proper assessment of the negative impacts or the positive benefits. A third category was the benefits that other parties espoused, being quoted by LMA: Eddington and Glaeser. 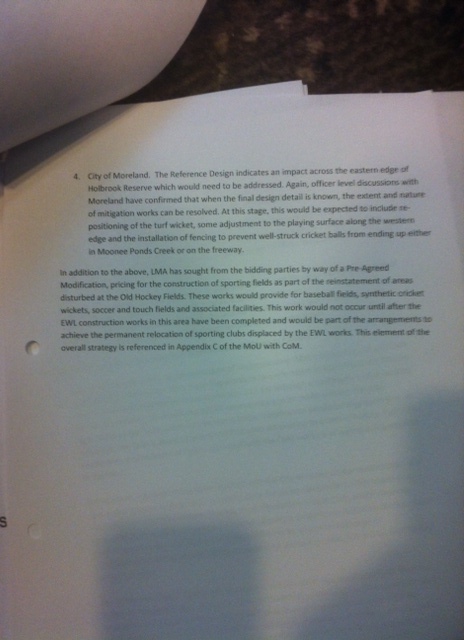 More detailed reasoning and argument came from Yarra around the issue of Hoddle St flyover. 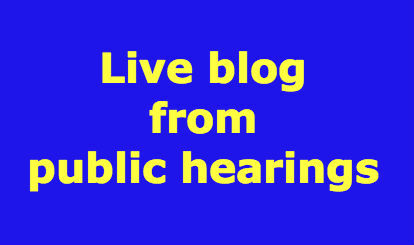 The Yarra Council argued the LMA engaged a witness who was unfamiliar with the project and that this had left the panel with a series of non-committal and incomplete statements. Similarly, project design decisions such as Elliot Ave interchange, the western portal, and the elevated viaduct or port connection were open to alternative design and Yarra urged the committee to recommend that LMA goes back to the drawing board and ensure that the project is the best that can be delivered. The Chair has sought clarification from Yarra with respect to their position on Part A (tunnel) without Part B (viaduct). Barrister Adrian Finanzio has taken the question on notice to seek further instructions from the Yarra Council. Peter Thompson has taken the expert’s chair to talk traffic for Yarra. He says a cost benefit analysis is an integral part of assessing projects of this nature – and the absence of this means the CIS cannot be said to to comply with best practice, nor can it be said it provides value for money. He argues there are few details in the CIS on the scope and range of sensitivity testing and that this can conceal realistic range of traffic flows. Another notable omission is the treatment of induced traffic: induced traffic is the response of travellers to make additional trips when the cost of making those trips is reduced. Failure to address induced traffic means traffic forecasts can be distorted and project benefits can also be distorted. The witness has no confidence that EWL represents value for money as best practice modelling must be undertaken in order to make this assessment. Week four begins; 17 days remaining. And still new information is sought and forthcoming. The LMA circulated traffic data requested by the panel last week (Documents 196-7). A document outlining the timetable was also tabled indicating that bids from tenderers are due 28 April. 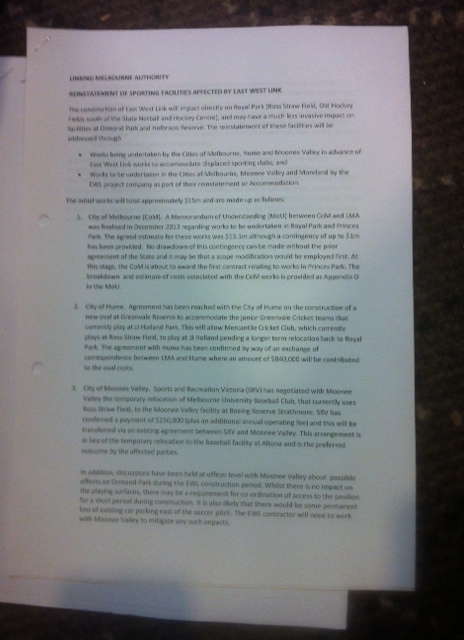 New versions of the performance requirements were also tabled, as was the MOU between the City of Melbourne and LMA to manage sporting facilities at Royal Park and Princes Park (Document 204). We will confirm the details of the MOU as soon as possible: but it possibly includes Poplar Oval becoming a turf wicket oval and Flemington Oval to be upgraded with a fence on Flemington Road. The City of Yarra then opened their submission focusing on whether the project will deliver a net community benefit. Yarra mounted the argument that the reference project does not provide a clear definition of the project and does the net community benefit test is fundamental. They argued the LMA must show that the project is “optimal” must consider if there are prudent and feasible alternatives. 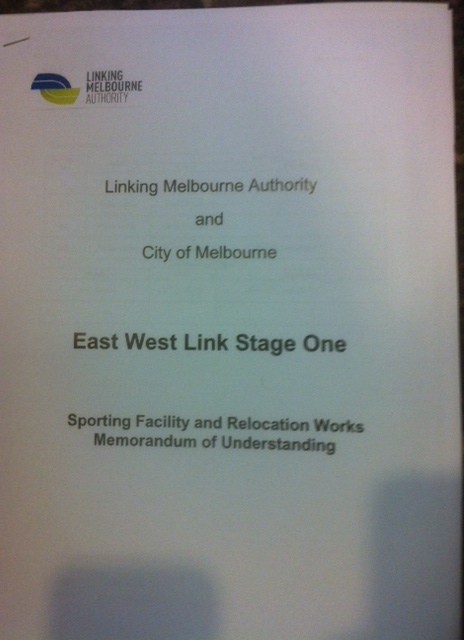 Yarra said the LMA has presented a “barely acceptable project” – and this is unacceptable.